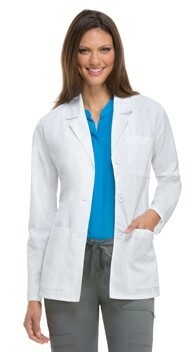 A Modern Classic fit 28” consultation lab coat features a notched collar and a three front button closure. 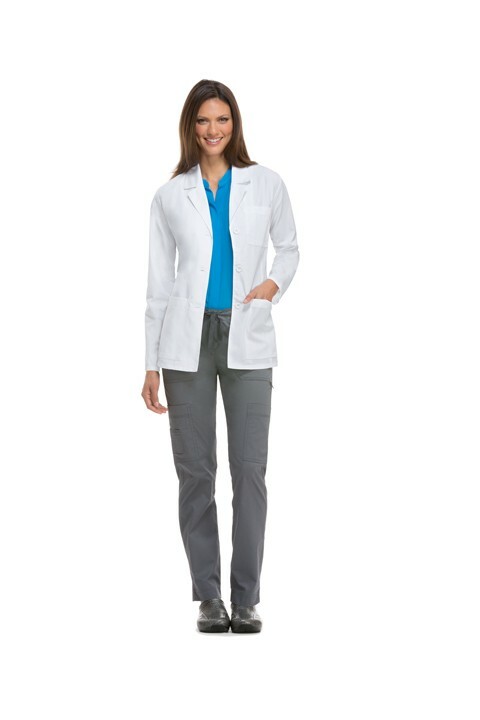 Also featured are one chest pocket and two lower patch pockets. 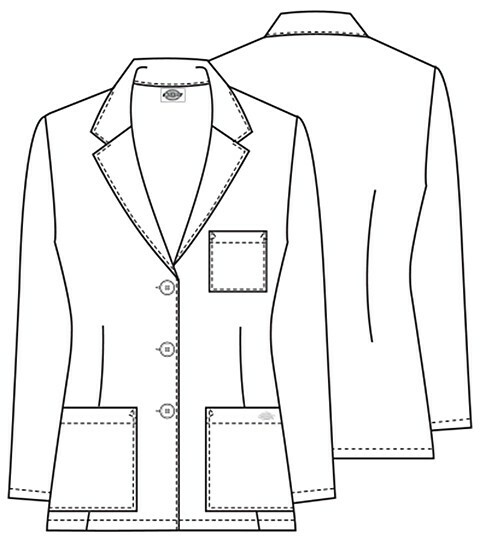 Front and back darts add shape.